When you’re serious about power for your LS2 engine, call in the AirForce! The all-new MSD Atomic AirForce intake manifold delivers improved airflow and distribution to improve the performance of stock and modified engines. Atomic AirForce accepts an OEM or 103mm throttle body as well as stock or aftermarket fuel rails* including MSD’s Atomic LS EFI system. The intake bolts on and is supplied with new gaskets and hardware for a direct bolt-on package. 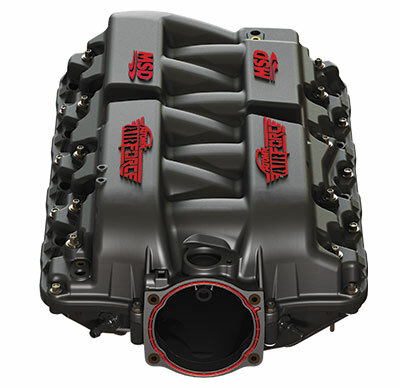 Allows for the use of stock fuel rails, aftermarket rails including the Atomic LS EFI.